(Re)kindle the romance close to home – without long flights to the South Pacific or the Maldives! 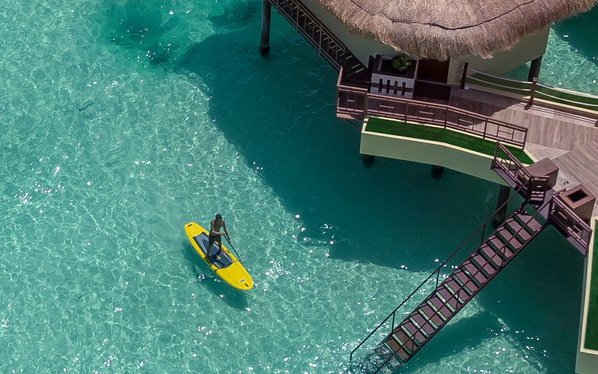 Overwater villas are the next best thing to a private tropical island of your own – a luxury, bungalow suspended right over top of jewel-toned seas with the rustic-chic experience of living indoors and outdoors. 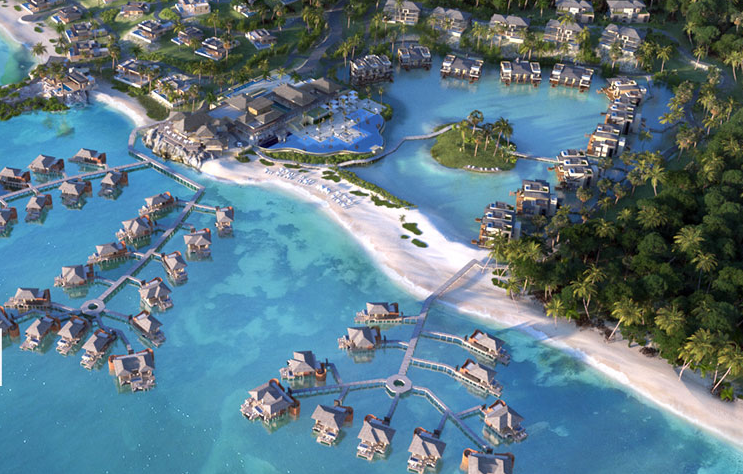 It doesn't need to be Valentine's Day or your honeymoon for you and your sweetheart to deserve an overwater dream holiday. Here are 3 resorts on the Caribbean Sea - in Jamaica, Mexico, and Panama, where you can live the dream. 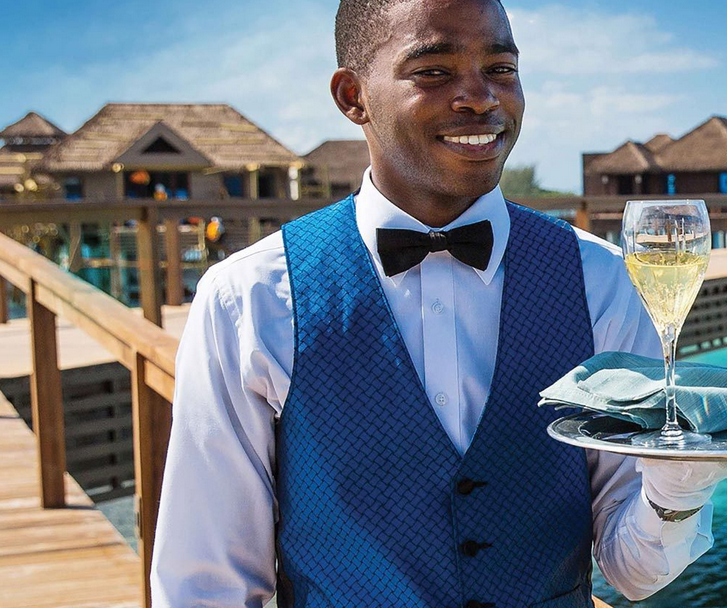 Couples-only Sandals built the Caribbean's first all-inclusive overwater bungalows, inspired by more distant cousins in Tahiti. 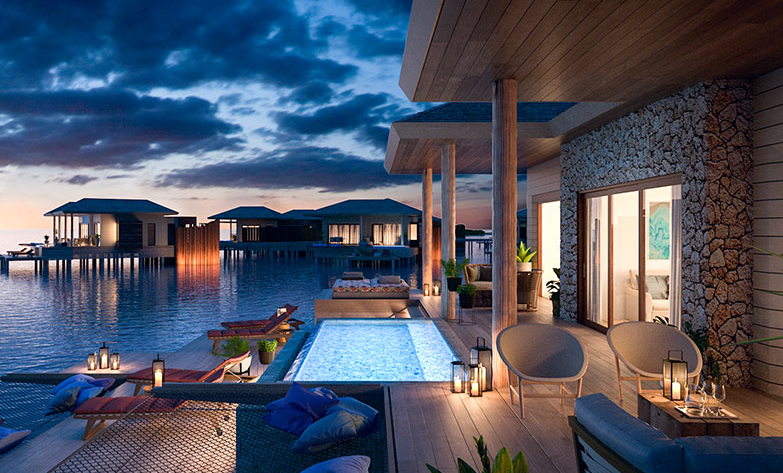 These secluded villas are just off the resort's private island with private water taxi service. Picture glass floors, butler service, private infinity pools and outdoor soaking tub for two or hammocks over the water where you can dangle your toes and absorb the sun, extended outdoor decks and outdoor showers that blur the line between indoor and outdoor luxury living. PLUS exchange privileges and all amenities and inclusions with 2 nearby Sandals – it's like having 3 resorts in one! 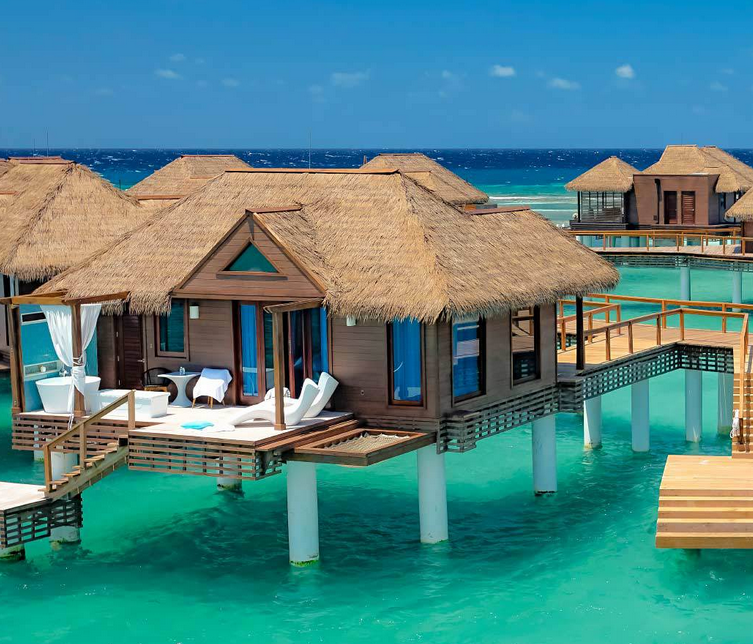 The adults-only resort's 'Palafitos' (pictured top) are not only the first overwater bungalows in Mexico, but are also on Maroma Beach, one of the world's top-rated beaches. 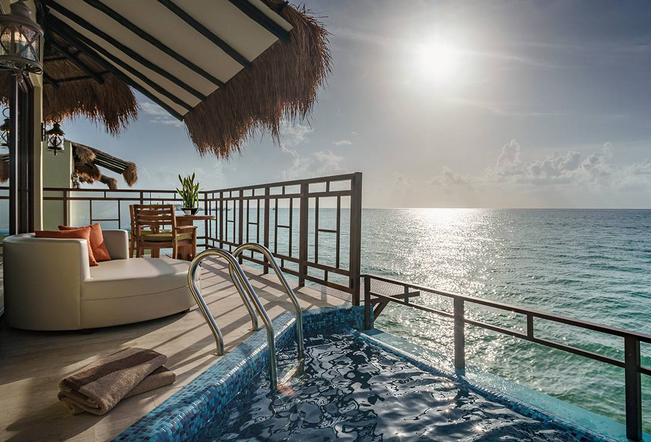 Glass-bottom floors give you a view of the sea from the moment you wake up and your feet touch the floor; in the evenings, you'll have an unobstructed view of the setting sun from your own infinity pool on your private deck. And outdoor shower and private butler top off your indulgent beach escape. Tip: If your travel heart is set on the romance of an overwater villa, book well advance as these evocative, one-of-a-kind accommodations are always among the first to fully book especially in high season December – March.